this was his little home after his wife (my great grandma mary corrine died) and he lived with his brother on his property in this little shack! well today is my bday and i went with my hubby and his friend to chattanooga, tn.. we went to see my hubby’s family.. we went opened presents first.. and i got CARE BEARS! so excited about that!!!! and then we went to steak and shake (and the sung Happy Bday and it sure made me turn redder than anything) and then we went to one of my favorite stores McKay’s .. there is only 3 of these stores.. Chattanooga, Knoxville and Nashville, TN … they are a used book, dvds, cds,video games, game boards store.. and oh man you could just spend hours in there… well here is the pictures from today. twas a lot of fun.. for sure! This is a really neat place to visit.. I haven’t been here since I was a kid and I’ve been wanting to go back since… Its a beautiful indoor waterfall inside a cave.. Believe me it worth it! Long weekends are great, but sometimes laying in bed and making brunch reservations and going to the same Happy Hour can get absolutely boring. Which is why we made the PERFECT waterfall weekend in Middle Tennessee, the best places to go, how to get there, and even a couple of restaurants to round out the week. Ready to head out and explore? You can find a map and all addresses for our weekend itinerary, here. 1. First stop? Ledford Mill Falls. 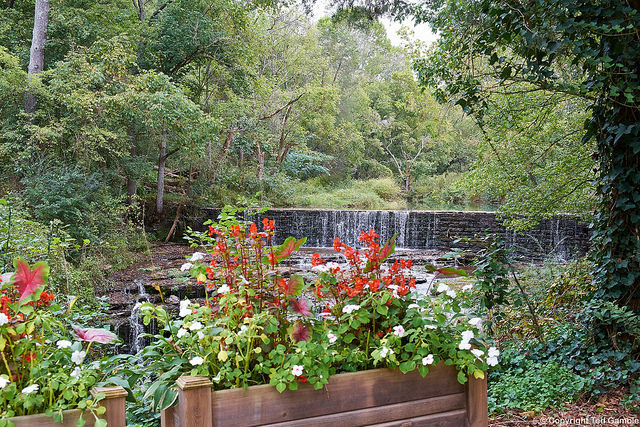 Located right outside the historic Ledford Mill, and 1884 gristmill that has since been renovated into a B&B. Though the original mill went out of business years ago, the stunning forested area is absolutely beautiful. 2. 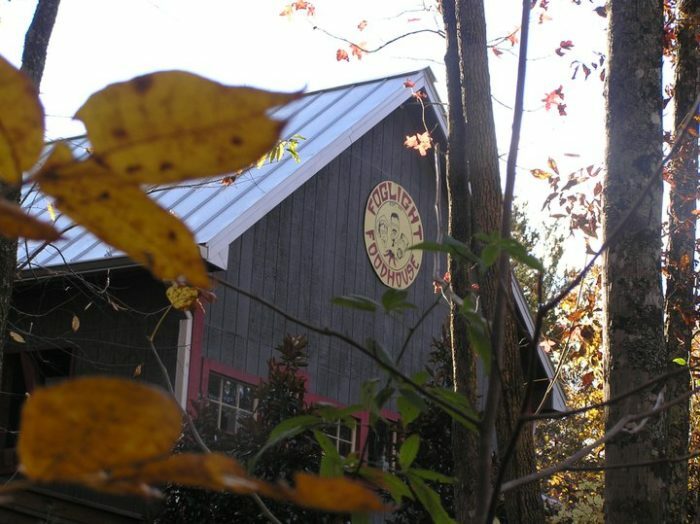 Stay the night at Ledford Mill Bed & Breakfast. And why not stay that night? The reviews of this three bedroom bed & breakfast is the perfect spot to spend a Friday night after your first waterfall, where you can enjoy a quiet evening in the forest to yourself. The Machines Fall Loop Trail is located in Short Springs Natural Area, it’s 1.6 miles and considered a moderate level trail. You can even bring Fido – just keep him on a leash. 4. 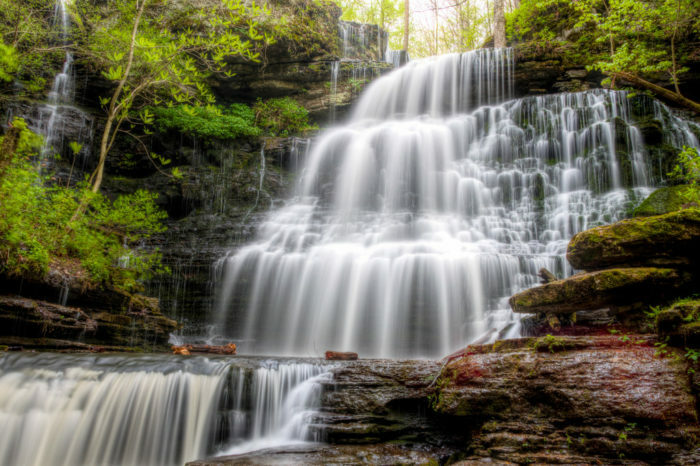 Rutledge Falls in Tullahoma in next! The privately owned area is open from dawn until dusk, and proves over and over to be one of the most amazing views in the state. In the summertime, the water is icy and refreshing! 5. 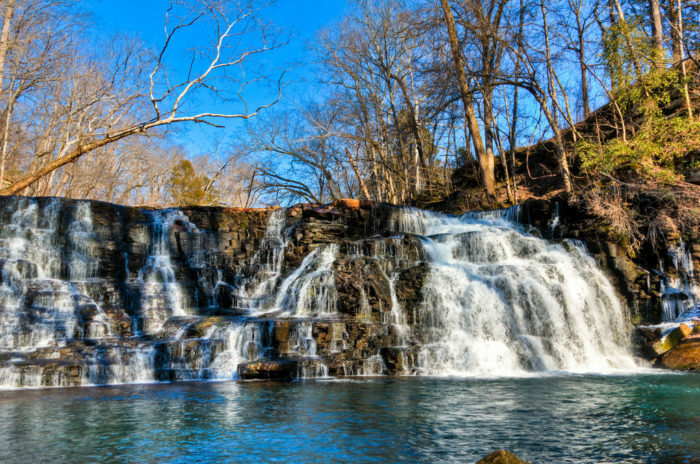 Time to head on over to Burgess Falls. 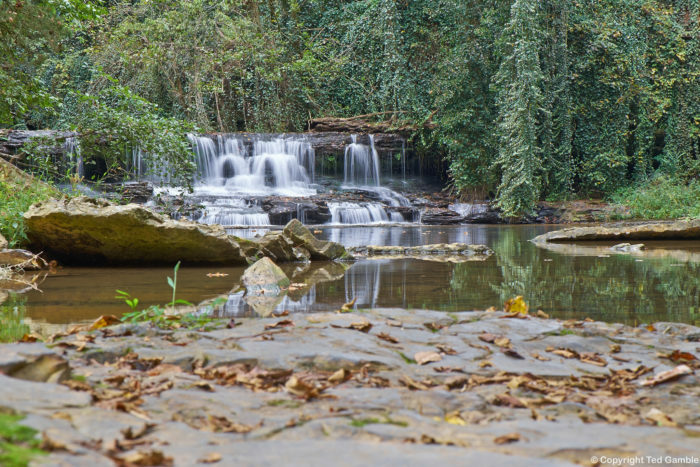 Burgess Falls State Park is rife with stunning waterways, a day use park that is located on the Falling Water River. 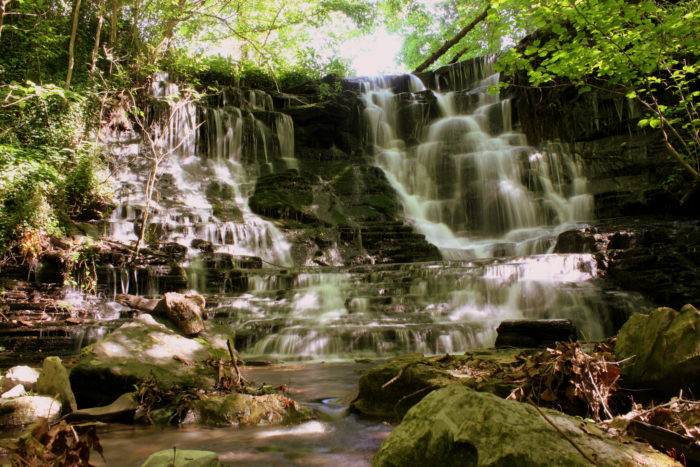 There are four waterfalls in the park, so you can even spend the whole of an afternoon chasing waterfalls. This rustic and fun restaurant is located in Walling and their main menu options include the best kind of Creole dishes of New Orleans. A platter of fresh seafood is the perfect way to end a hiking adventure on a Saturday – we recommend the jambalaya! 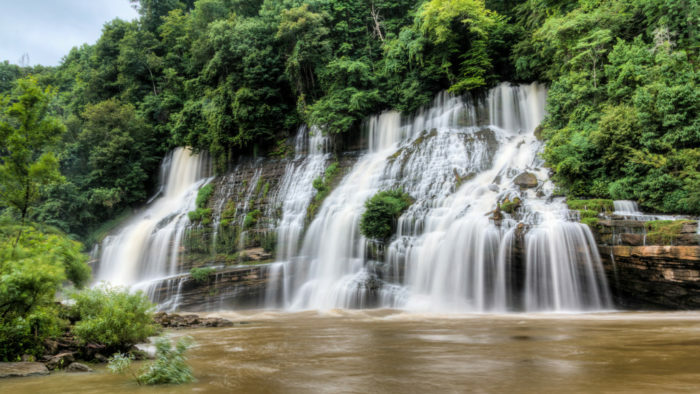 Ready to walk off that amazing Creole meal with a hike in the Piney Falls State Natural area? 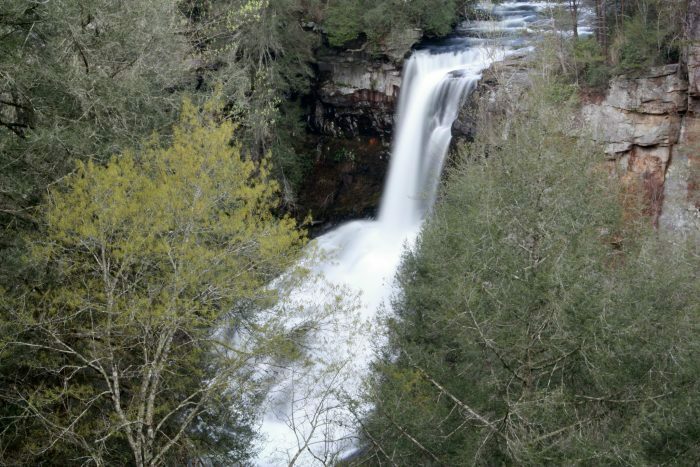 At 1.6 miles, this Grandview-located hiking trail rewards your efforts with both upper and lower Piney Falls. An 85-foot waterfall that runs in a sheet of a water from the waterway above is a beautiful view for any time of day. 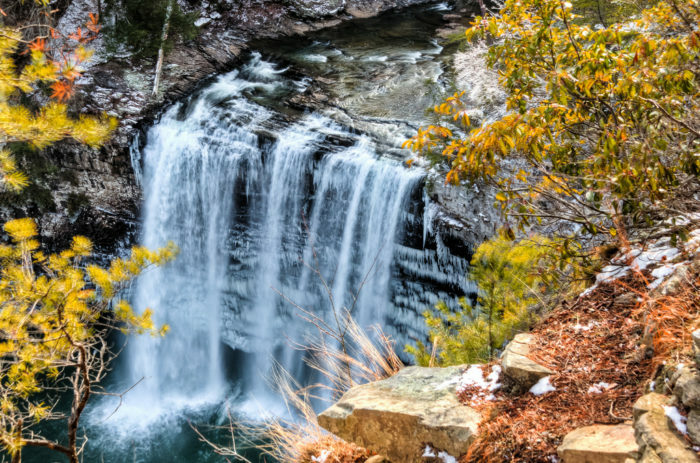 Located in Fall Creek Falls State Park, this Van Buren-based waterfall is perfectly Instagrammable. 9. 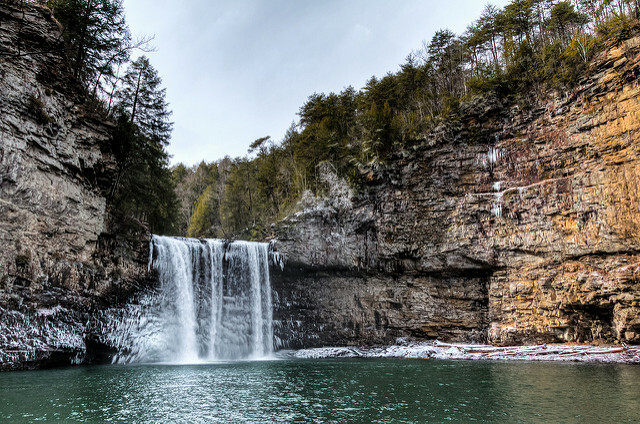 We’d recommend camping out in Fall Creek Falls State Park. Nights run from $13.75 — $31.25, which makes a quick campground easy on the wallet AND easy on the eyes. The park is chock full of stunning watery views, so you can even get up early and find a new trail yourself. Good morning! Are you hungry? We’d recommend sleeping in and grabbing an early lunch when Fortes opens at 11. This cute and sweet place is great for families and hungry hikers just off the trail. 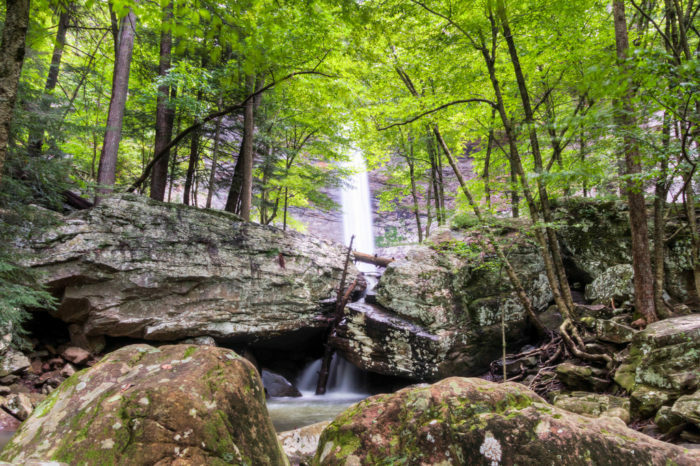 Ozone Falls State Natural Area is the last stop on our list, not too far from our lunch spot. Ozone Falls plunges roughly 110 feet into a gorgeous watery pool below, making this place straight out of a fantasy tale. Don’t forget to check out our waterfall weekend map! If you’re still looking to explore, these hidden places are just a lovely. Happy hiking! 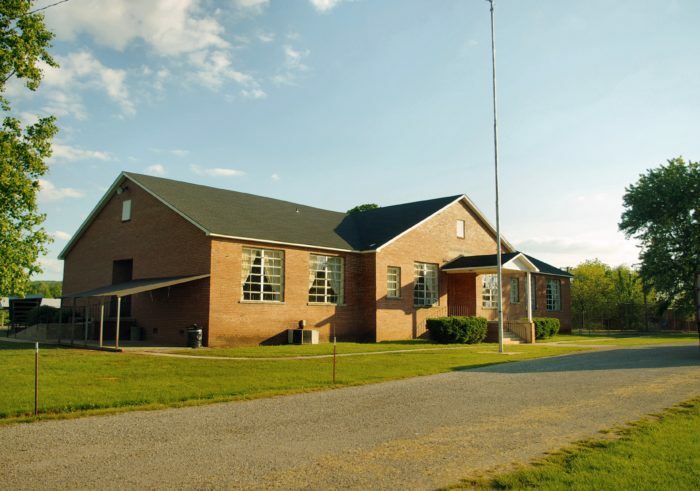 The town of Belvidere, Tennessee is nestled in a sweet hamlet of southern country comfort. 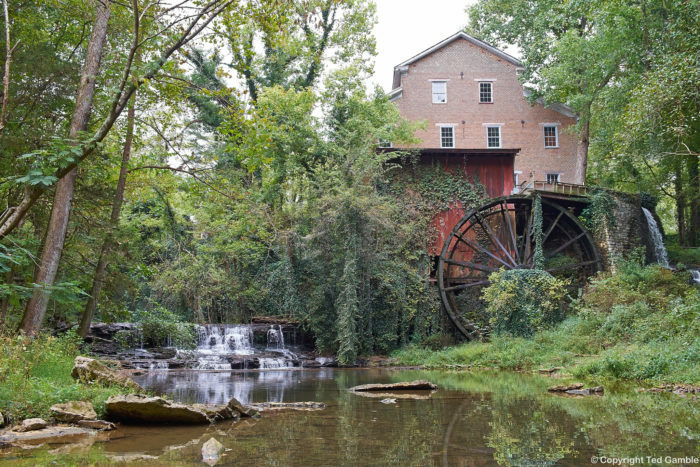 Surrounded by lush plant life and enveloped in state history, it’s a great visit whether or not you’re visiting Falls Mill – and we’d most definitely recommend it. The mill is a peek into the past, and you may feel as if Sleeping Beauty or Snow White will come waltzing out of the forest, perfectly at home. Belvidere is a small, unincorporated community in Frankling County. It’s so tiny that you’d be wont to find it on a map, but its location is known for its ethereal beauty. The very name, “Belvidere” comes from the Italian word that means, “beautiful sight”. 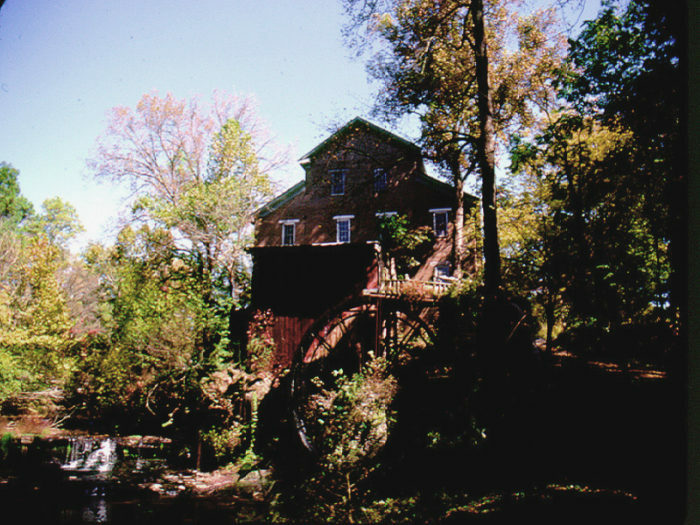 Falls Mill stands on the banks of Factory Creek, built in 1873 and later utilized as a cotton and woolen factory. 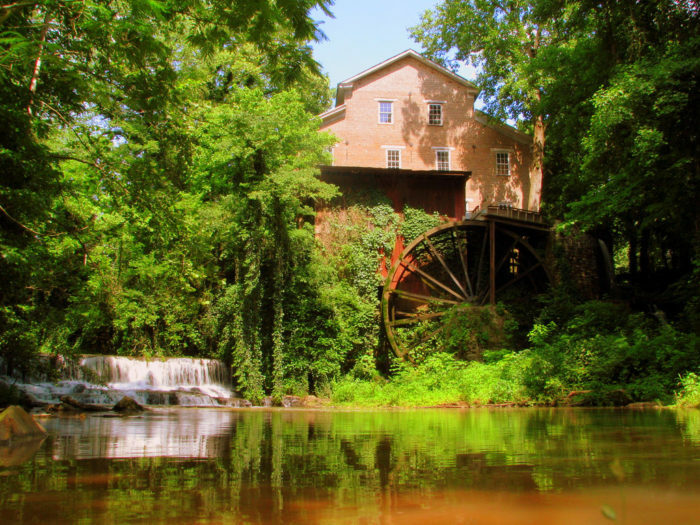 Even later the whole of it was revamped to work as a cotton gin, later a woodworking shop and grist mill. This is the Mill that keeps on giving! It’s lived many lives since the 19th century. 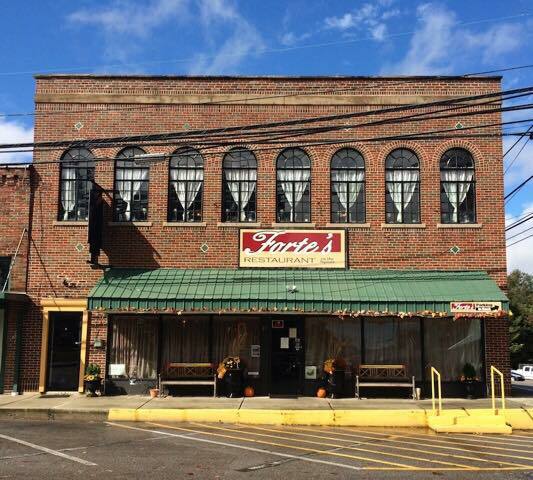 John and Jane Lovett have owned and cared for the mill since 1984, and have done a fantastic job with this beautiful ode to Tennessee’s past. Listed on the Registrar of Historic Places, the mill is now home to the Museum of Power and Industry. The waterwheel – at 32-feet – even powers the whole four levels of the building. This is where we start to see the fairy tale emerge…a mill on the river. All we need is a song and a royal, ready to splash through the water trill through the high notes on the wings of love. Did that sound convincing enough for Belvidere…? You can stay overnight in the Log Cabin Bed & Breakfast, too! It’s open year-round for guests, so you’d simply have to call and place your reservation. The 1895 log cabin comes fully furnished with pine floors and homemade quilts spread liberally throughout. At $125 a night, you don’t want to pass this one up! 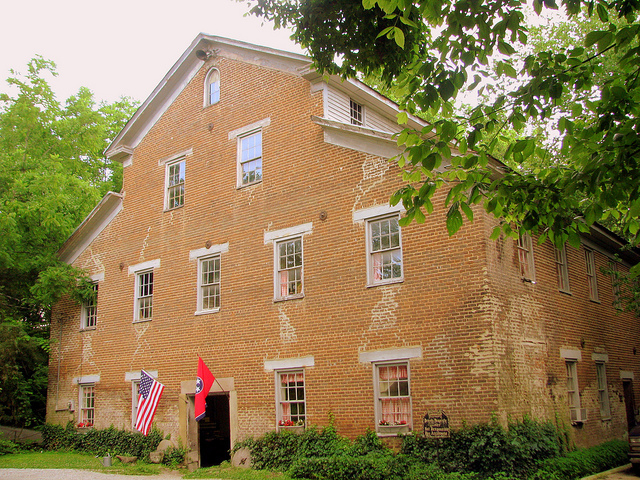 You can tour the mill and museum from March through December, at any point from 9-4. At $4 for adults and only $2 for children, it’s an inexpensive and enjoyable day trip. 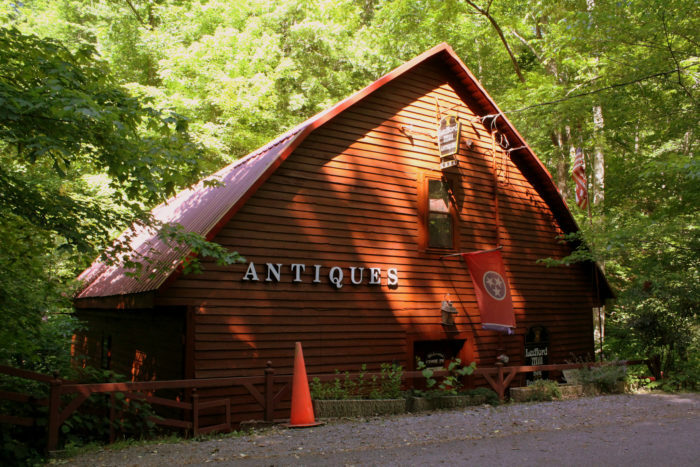 You can visit the sweet Falls Mill in Belvidere, Tennessee at 134 Falls Mill Road. The scenery is lush and the people are kind – plus? It’s the perfect setting for your own fairy tale. went to hike once again at the Cumberland Mountain State Park… and went on a different trail.. and found little hidden gems along the way… here’s the pics i took!